On December 18th, 2009, WordPress Version 2.9, named in honor of magical jazz vocalist Carmen McRae, was released to the public before the year ends. You can upgrade easily from your Dashboard by going to Tools > Upgrade, or you can download from WordPress.org. The WordPress 2.9 requires MySQL 4.1.2 or greater. Developers have been using different techniques to add post thumbnail feature in their themes; but now with built-in post thumbnail feature things are going get easier and standardized. As blogs have evolved from journal form into entities that can be very magazine-like, the use of thumbnail images has also grown. A new commentmeta table that allows arbitrary key/value pairs to be attached to comments, just like posts, so you can now expand greatly what you can do in the comment framework. Technically, the only post_types that WordPress has supported have been post, page, revision and attachment. While it has technically been possible to add new post_types (like podcast, mp4, or tutorials – they could be anything, really), it has been a chore and required plugin developers to handle quite a few moving parts in order to make it all work properly. The Trash Can: In WordPress 2.9, everything is recoverable now with a new Trash feature. When you delete a post, page, category, comment, or any bit of content, it is moved to the Trash where you can decide whether to pull it back at a later date. Trash collection is done every 30 days by default, but it is possible to change this by editing your wp-config.php file. Add the following to your config file to change trash collection to every 7 days. Modify as needed. Built-in image editor allows you to crop, edit, rotate, flip, and scale your images to show them who’s boss. This is the first wave of our many planned media-handling improvements. This isn’t Photoshop. And it only support basic functionality at this time.From the media library, you can edit images by clicking the Edit link under an image, and then clicking the Edit button on the individual image page. oEmbed is a specification that allows media providers like Flickr, YouTube and others to provide data for consumer applications like WordPress about media. The simple API allows a website to display embedded content (such as photos or videos) when a user posts a link to that resource, without having to parse the resource directly. 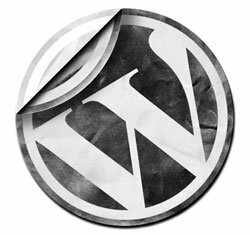 I hope you found this post useful and timely, and remember to share any additional WordPress 2.9 resources for developers that I may have missed.